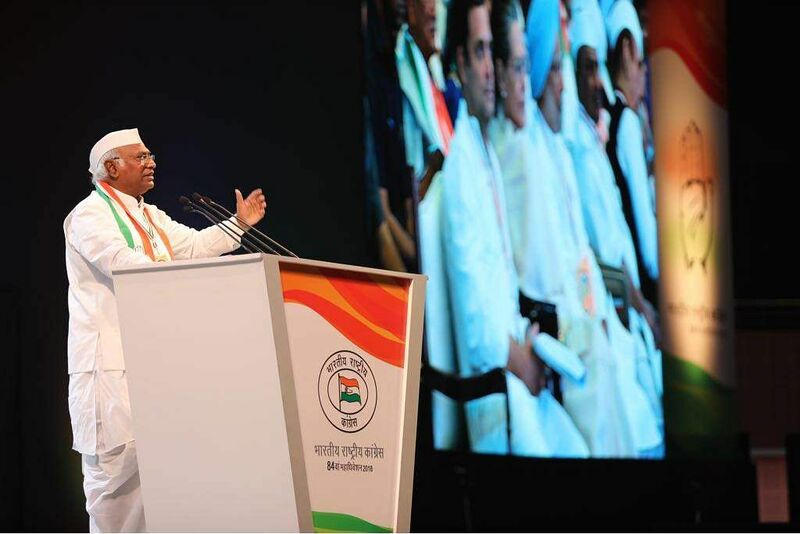 AICC plenary session UPDATES | Mallikarjun Kharge says - Integration Through Media ....! The meet was attended by Congress chief ministers, state Congress presidents and Congress legislature party leaders from all states. Former prime minister Manmohan Singh and former party president Sonia Gandhi were also present. 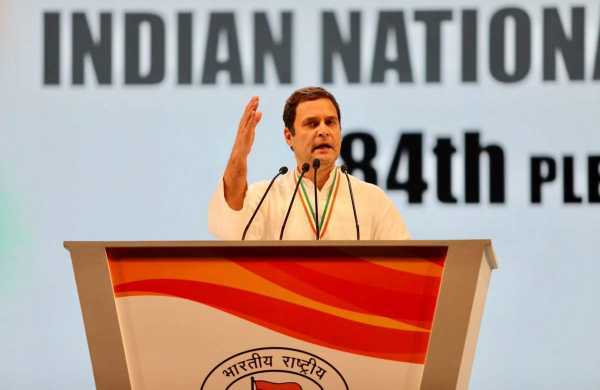 Yesterday, as Chandrababu Naidu’s no-confidence motion and Arvind Kejriwal’s abject apology trended on the news circuits, the Indian National Congress began the pre-plenary session meet, primarily to set the party’s agenda for 2019, as also to steer its internal structural reforms. Gandhi will present the Congress vision document and the political roadmap for the party. The document will act as a “guiding light” to help party workers upstage the BJP from power at the Centre in 2019 and in some key states where elections are slated later this year. 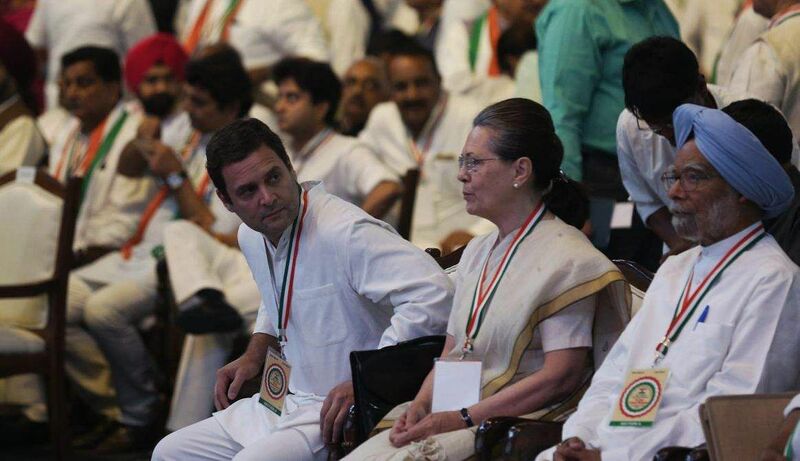 12:00 pm – Veteran Congress leader Mallikarjun Kharge delivers the political resolution of the party at the plenary. 10:52 am – Rahul Gandhi concludes his brief address. He will next speak at the conclusion of the plenary tomorrow at 4:30 pm. 10:50 am – Only the Congress party can lead the country in that new direction, says Rahul Gandhi. 10:46 am – He remarks on the current political climate in the country and says it is time for a new direction, a new vision. He brings up the farmers crisis and the unemployment problem. 10:45 am – Rahul Gandhi begins his speech. 10:00 am – Sonia Gandhi and Rahul Gandhi have arrived at the meet. Senior leaders are already present. Sources say former chief Sonia Gandhi is likely to recede into the background. “She’ll not want to overshadow” her son in any way, even though the art of alliance making, which will either make or mar 2019 for the Congress, has been left to her. 9:30 am – The party announced that Rahul Gandhi's official Twitter handle has changed from @OfficeofRG to @RahulGandhi. 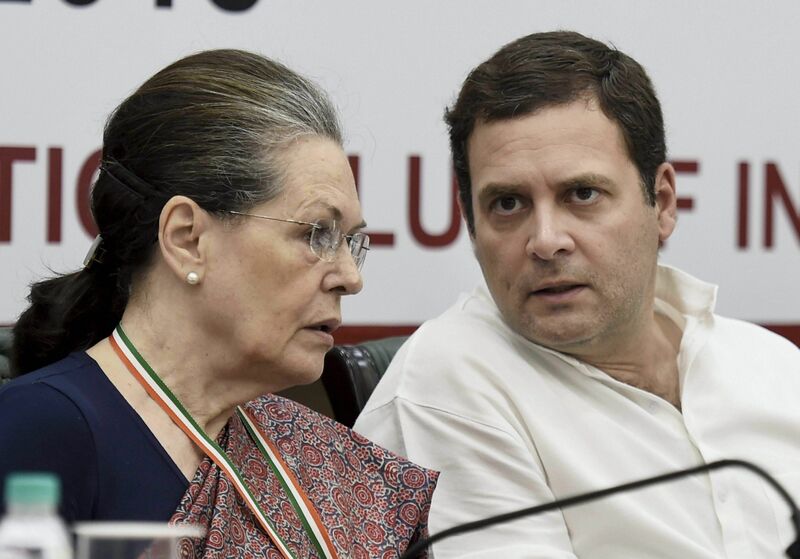 The session assumes importance as it will be the first after Gandhi's presidentship and the first to be held with a new leader in two decades. 9:00 am – The session is set to commence soon. 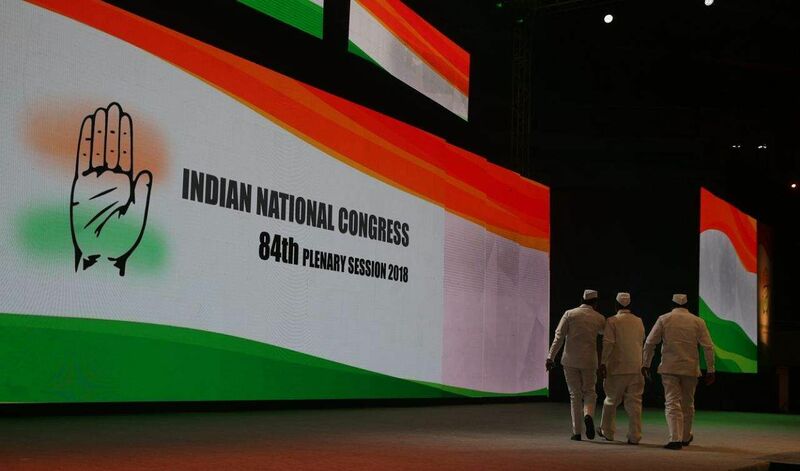 At the three-day brainstorming plenary session (March 16-19), the Congress party will pass four resolutions — one each on the political and economic fronts, another on foreign policy and the fourth on agriculture and unemployment. Its primary focus will, however, be to devise strategies to tackle the BJP ahead of the 2019 elections and to chalk out a new vision for the grand old party.